Dave grew up in South London. He studied veterinary medicine at Cambridge and graduated in 1988. His first job was as an assistant at the Vale Veterinary Clinic. After working for eight years as an assistant he bought the practice in 1996 and has run it ever since. In addition, Dave spent four years as a Local Government Councillor on Lambeth Council from 1994-8. Dave has three children, Malek, Anton and Lucas. He also has three cats – Aslef, Bectu and Oliver. Hi, my name is Tracey. I have been a veterinary nurse working at the Vale since September 1984, part of the fixtures and fittings! I now work Monday to Wednesday at the Vale and also do one overnight shift a week at the out of hours emergency service. I have been married to my husband Alf for 13 years. He is a stretch limousine chauffeur and has a daughter Stacey. We are nan and granddad to Ronnie who will be one year old this October. I own a long-haired cat named Erol and two guinea pigs Schmoo and Punky. My greatest love is horses of which I have two, Riley and Yoyo. This is where I spend the rest of the week, looking after them both and teaching children and adults of various ability to learn to ride. I also compete in shows, both dressage and show jumping at weekends. Life is pretty hectic but very rewarding! Heather started working here as a Saturday girl back in 2009 – but has been coming here with her family pets since she was little! Whilst studying for 3 years she volunteered at Battersea Dogs and Cats Home for a year. Heather’s love for animal exceeds no limits and will always go the extra mile. Over time she became a part-time member of the team as she successfully ran her own Dog walking business for 3 years, with closing that chapter she is now a full-time member of stuff! When not at work like most Heather enjoys going on holiday, days out with friends and hand feeding lions! Eleanor Young RVN MBVNA. Head Nurse. Eleanor started with Vale Vets at the beginning of 2008. She is a qualified Veterinary Nurse with many years of experience behind her (too many!). 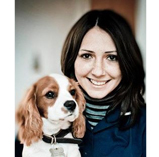 After working in a multi-discipline referral clinic up in Northumberland where she began life in the veterinary world as a part-time receptionist, she trained as a Veterinary Nurse and eventually became head nurse. Eleanor moved to London in 2003. She loves to go travelling to foreign parts as often as possible. Being an exiled Geordie, her passion is her beloved Newcastle United Football Club. She is still a season ticket holder and gets to as many games as she can when visiting home to see her daughter Rebecca and grandson Joshua, and also when the Toon Army visit the London teams.